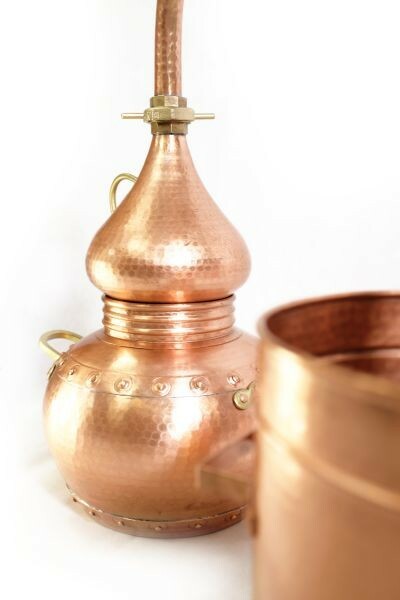 Hand-forged still in genuine premium quality created by a master craftsman in the CopperGarden® forge - with 10 years guarantee. 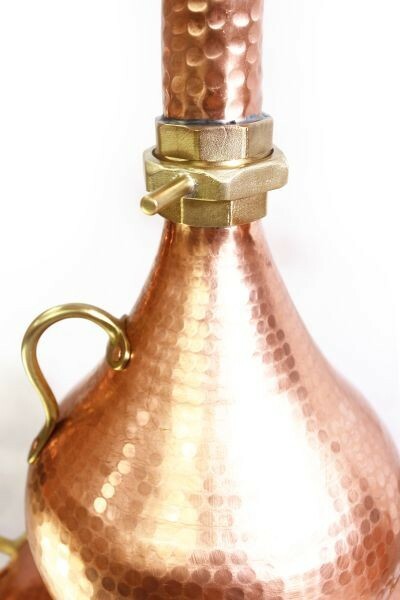 Alembic still crafted to the highest quality from the new "CopperGarden®" premium line. An acquisition for generations – even if you use the still for commercial purposes. For legal reasons we are not allowed to offer a lifetime guarantee, but the 10 year guarantee surely testifies to the excellent quality and strength of the material. This still, which is in the highest possible quality category, is one of the "CopperGarden®" lifetime Supreme premium series, and features some unique details and optimizations, in addition to the distinctly stronger material. All in all, the complete workmanship is much more elaborate in these premium stills. For example, by virtue of the stronger material and precise crafting the boiler is absolutely leak-proof and needs no further sealant, proof of the perfect workmanship. Like all alembic stills, the still consists of three components: the riveted boiler with 30 liters capacity, the swan neck attachment (head, lyne arm, swan neck), and the condenser with integrated cooling coil and a cool water overflow pipe, as well as an extra cool water intake for the boiler. Conclusion: This well-designed 30 liter premium still from a master craftsman leaves nothing to be desired! 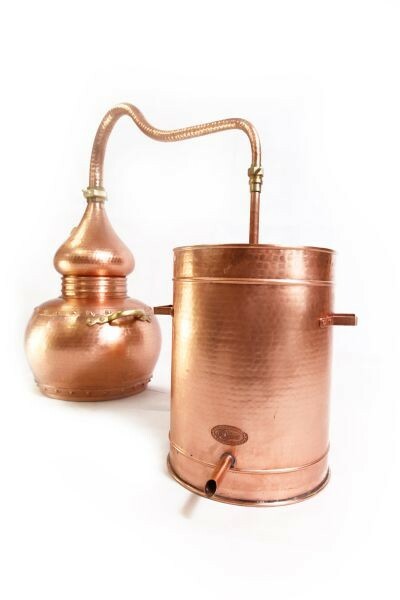 The perfect still for commercial distillers who produce large amounts, it is also ideal for demonstration distillations owing to the attractive design, and for those who place importance on quality and durability. This still is certain to provide you with the best distillates for generations. Our recommendation if you like top quality and want to distil a lot. 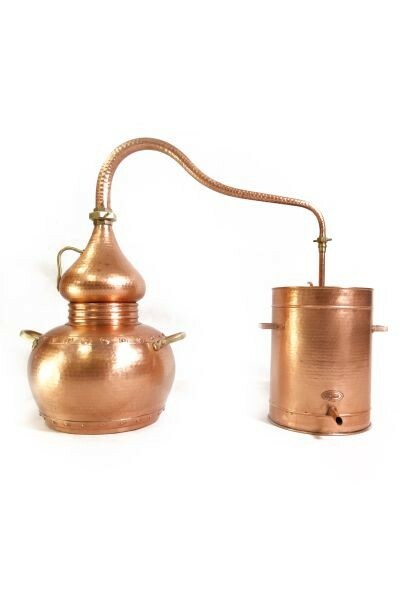 Use: This alembic still is excellently suitable for the distillation of aromatic fruit brandy, whisky and brandy, as well as for the production of different types of pomace brandy or spirits made of flavoured alcohol. In addition to that, this still can also distil herbal distillates and essential oils very well, although we would recommend a column still or alquitara for the production of essential oils.